A best seller gift item. 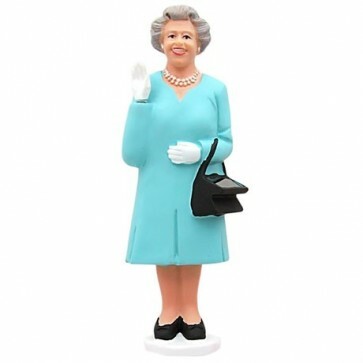 A figure of Her Majesty The Queen. The handbag is a solar panel so when HRH is placed in a good light she will honour you with her famous wave.